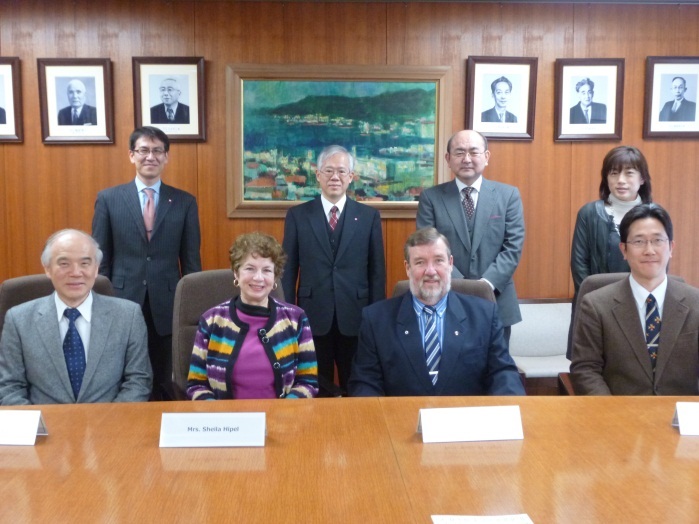 On February 25, 2014, Professor Keith W. Hipel, Department of Systems Design and Engineering at the University of Waterloo / President, Academy of Science, Royal Society of Canada paid a courtesy visit to Professor Takashi Onishi, President of Science Council of Japan (SCJ). SCJ has been enjoying friendly relationship with the Royal Society of Canada through the WISET (Women in Science, Engineering and Technology) Program for the past ten years. Professor Onishi explained that the Canadian female researcher will visit Japan next month. The participants had an exchange of opinions on the recent activities of SCJ and RSC, particularly, about the involvement of young researchers to the academies, the promotion of women researchers, and the roles of academies toward their governments.